Considered the "lungs of the world," the Amazon provides a full fifth of the world's oxygen, and every year unsustainable human practices destroy 2.7 million acres. What can be done to help? That's where Project Piaba comes in. 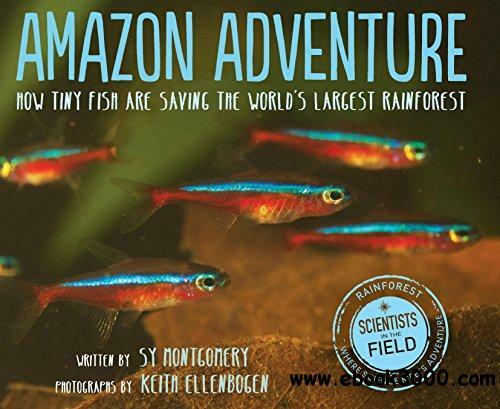 Join the award-winning author Sy Montgomery and the photographer Keith Ellenbogen as they traverse the river and rainforest to discover how tiny fish, called piabas, can help preserve the Amazon, its animals, and the rich legacy of its people. Amazon Adventure is an eye-opening-and ultimately hopeful-exploration of how humanity's practices are affecting and shaping not only the Amazon, but our entire environment.